With a growing global population comes a growing number of mouths to feed. In the wake of recent product recalls, pressure is now mounting on the agriculture industry to keep the food we eat healthy. Bio-pesticides harness the science of biotechnology to control pests and contamination in a sustainable, non-toxic manner. 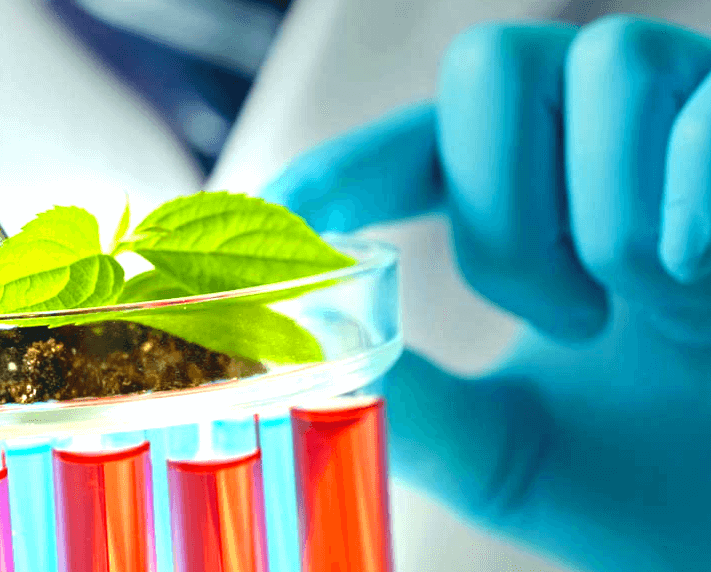 A company that is leveraging the power of bio-pesticides is Agri-Neo Inc., which develops and markets low-risk agricultural chemicals, biologicals and plant extracts. The company launched this week a new organic sanitizer, Neo-Pure, that destroys pathogens on raw food such as edible seeds, nuts and spices. Dangerous pathogens, such as certain bacteria or fungi, can contaminate raw food products at one or more points as the food travels from field to package. It only takes one seed, nut or spice with harmful pathogens like E.coli or Salmonella to lead to disease outbreaks and product recalls. Rob Wong, president and chief operating officer of Agri-Neo, says preventing contamination before food hits store shelves is a key step to keeping raw food safe, especially for popular superfoods such as seeds. “Certain food products are highly susceptible to pathogens. For example, edible seeds like hemp, chia and flax that are eaten raw by most people. On one hand, it’s great because you’re maintaining the nutritional profile of those products. But on the other hand, because you’re not cooking it, those dangers are a lot greater,” Wong said. Seed products are traditionally tested by sampling small batches of product for analysis in order to identify any contaminations. However, this randomized process is unlikely to detect all contaminated seeds. Just this past August, there was a massive recall in Canada when Salmonella was found in chia seed powder. As a result of this event, and many others like it, regulations such as the Safe Food for Canadians Act (in Canada) and the Food Safety Modernization Act (in the US) are now beginning to mandate preventative treatments for pathogen control. And with increasing health awareness and consumer fondness for organic food, the demand for bio-pesticides in agriculture is set to open up more competition in the market. BCC Research estimates that the global bio-pesticide and synthetic pesticide market will grow from $54.8 billion in 2013 to nearly $83.7 billion by 2019. Bio-pesticides will account for $6.9 billion of that total, representing an annual compound growth rate of 13.9% from 2014. Agri-Neo’s new organic sanitizer, Neo-Pure, provides instantaneous contact control of pathogens on the surface and inside raw food products. The product uses peracetic acid, an organic compound, to disinfect a food product. The sanitizer then biodegrades completely, leaving no residues, which means that the taste, smell, appearance and nutritional profile of the raw food products remain unchanged. This enables food companies to eliminate the risks of contamination or recall. Agri-Neo has already closed its first round of sales of Neo-Pure, which is approved by the Canadian Food Inspection Agency and HACCP-endorsed, a guideline for food safety principles adopted by most countries around the world. The sanitizer is already in use by Advantage Health Matters, an organic food distributor, who began looking for a way to sanitize its products after one of its brands was recalled due to possible food safety concerns. The appetite for sustainable agricultural practices among farmers, manufacturers and consumers is likely to grow as demand for food around the world increases. Pest resistance, environmental impact and consumer backlash to conventional synthetic chemicals are putting increased pressure for sustainable ways to grow and treat the food that ends up on our tables. “Agriculture has to change. It’s not like there’s going to be more arable land to farm or more fresh water. The big question in agriculture right now is: How do you get more with less? We’re trying to do that in our sustainable way by making bio-pesticides the standard,” Wong said. Watch this video to learn more about Neo-Pure.